The South Carolina Council on the Holocaust (SCCH) was established in 1989 through a state legislative mandate. 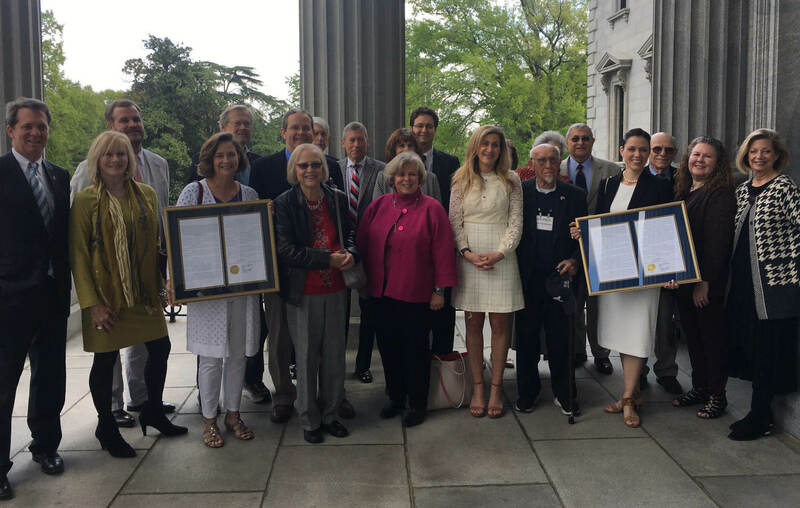 It operates in collaborative partnership with the state legislature and the SC Department of Education to promote awareness about the Holocaust and to honor the survivors and concentration camp liberators who call South Carolina home. To this end, the Council supports teacher training programs, special events that discuss Holocaust history, human rights, and genocide, and annual Holocaust commemorations around the state. For almost 30 years, the Council was led by Dr. Selden K. Smith [The State], a professor of history at Columbia College. Dr. Smith is generally regarded as “the father of Holocaust education” in South Carolina. The Council is overseen by a twelve-person board appointed by the offices of the Governor, Lieutenant Governor, and Speaker of the House. The SCCH believes Holocaust education is important to creating a population with the knowledge, critical thinking skills, and commitment to promoting a society free of prejudice and discrimination. We seek to help South Carolinians recognize the relevance of the Holocaust and human rights, apply it within their own lives, and work for the improvement of our society. The mission of the SCCH is to educate South Carolina teachers, students, and communities about the Holocaust through teaching, outreach, resources, and commemoration.